[04/2019] Zahra Ghasemi was awarded a 3-Minute Thesis (3MT) Finalist Award at the University of Maryland. [01/2019] Ramin Bighamian (PhD 2017) joined George Mason University as Assistant Professor in the Department of Mechanical Engineering. [12/2018] Xin Jin was awarded a Graduate School’s Outstanding Research Assistant Award from University of Maryland. [12/2018] Azin Mousavi was selected as a Future Faculty Fellow in the A.J. Clark School of Engineering at the University of Maryland. [11/2018] Dr. Hahn’s patent, “US 10,136,823: Methods and Apparatus for Determining Cuff Blood Pressure” was issued. [11/2018] The article “Ballistocardiogram-Based Approach to Cuff-Less Blood Pressure Monitoring: Proof-of-Concept and Potential Challenges” was selected as a Featured Article in IEEE Transactions on Biomedical Engineering. [10/2018] Dr. Hahn served as Co-Organizer for Invited Sessions at the ASME Dynamic Systems and Control Conference (Atlanta, GA). [10/2018] Zahra Ghasemi was invited to attend the Rising Stars in Mechanical Engineering Workshop at the Massachusetts Institute of Technology. [09/2018] Dr. Hahn received a research grant from the FDA to develop test methods for assessing the accuracy of NIBP monitors. [09/2018] Dr. Hahn was awarded a CMMI Grant from the National Science Foundation (NSF). [07/2018] The article “Data Mining Investigation of the Association between a Limb Ballistocardiogram and Blood Pressure” was selected as a Featured Article in Physiological Measurements. [07/2018] Dr. Hahn served as Mini Symposium Organizer, Co-Chair, and Presenter at the IEEE Engineering in Medicine and Biology Conference (Honolulu, HI). [07/2018] Dr. Hahn was awarded an Innovative Project Award from the American Heart Association (AHA). [07/2018] Dr. Hahn was awarded a UM Ventures Seed Grant from the University of Maryland. [06/2018] Dr. Hahn was invited to speak at the Samsung Mobile Healthcare Forum. [05/2018] Ramin Bighamian (PhD 2017) was awarded the UMD Department of Mechanical Engineering Best Dissertation Award. [03/2018] Dr. Hahn was awarded a Faculty Early Career Development (CAREER) Award from the National Science Foundation (NSF). [11/2017] Dr. Hahn was featured on the IBM Business of Government Podcast (http://www.businessofgovernment.org/interview/jin-oh-hahn-and-monifa-vaughn-cooke). [11/2017] Dr. Hahn will serve for the Bio-Systems and Healthcare Technical Committee in the ASME’s Dynamic Systems and Control Division as Chair during 2017-2018. [10/2017] The article “Model-Based Blind System Identification Approach to Estimation of Central Aortic Blood Pressure Waveform from Non-Invasive Diametric Circulatory Signals” was selected for the 2017 Best Bio-Systems and Healthcare Paper Award from Bio-Systems and Healthcare Technical Committee, ASME Dynamic Systems and Control Division. [10/2017] Dr. Hahn served as Co-Organizer and Co-Chair for Invited Sessions at the ASME Dynamic Systems and Control Conference (Tysons Corner, VA). [08/2017] Dr. Hahn served as Mini Symposium Organizer, Chair, and Speaker at the IEEE Engineering in Medicine and Biology Conference (Jeju, Korea). [07/2017] Dr. Hahn gave an invited talk at Seoul national University (School of Mechanical and Aerospace Engineering), Sogang University, Hanyang University, and Seoul National University (Department of Biomedical Engineering). [07/2017] Dr. Hahn served as Technical Program Committee Member at the IEEE/ACM Conference on Connected Health: Applications, Systems and Engineering Technologies (Philadelphia, PA). [07/2017] Dr. Hahn received a research grant from the FDA to develop test methods for assessing the accuracy of NIBP monitors. [07/2017] Dr. Hahn was awarded a UM Ventures Seed Grant from the University of Maryland. [05/2017] Dr. Hahn served as Technical Program Committee Member at the American Control Conference (Seattle, WA). [04/2017] Dr. Hahn served as Technical Program Committee Member at the International Conference on Cyber-Physical Systems (Pittsburgh, PA). [12/2016] Zahra Ghasemi was selected as a Future Faculty Fellow in the A.J. Clark School of Engineering at the University of Maryland. [12/2016] Dr. Hahn made a Research Collaboration Agreement with the FDA on the Development and Evaluation of Pre-Clinical Test Methods for Physiological Closed-Loop Controlled Medical Devices. [11/2016] Dr. Hahn will serve for the Bio-Systems and Healthcare Technical Committee in the ASME’s Dynamic Systems and Control Division as Vice Chair during 2016-2017. [10/2016] Dr. Hahn gave an invited talk at the University of Washington and the University of Connecticut. [10/2016] Dr. Hahn served as Co-Organizer for Invited Sessions at the ASME Dynamic Systems and Control Conference (Minneapolis, MN). [10/2016] Dr. Hahn received a Small Business Innovation Research Grant from the US Army [Lead: Arcos Medical]. [09/2016] Dr. Hahn was invited to participate in the US Frontiers in Engineering Symposium organized by the National Academy of Engineering (Irvine, CA). [08/2016] Dr. Hahn served as Mini Symposium Organizer, Chair, and Speaker at the IEEE Engineering in Medicine and Biology Conference (Orlando, FL). [07/2016] Dr. Hahn served as Technical Program Committee Member as well as Organizer and Chair for Invited Sessions at the American Control Conference (Boston, MA). [06/2016] The article “Patient-Specific Oscillometric Blood Pressure Measurement” was selected as a Featured Article in IEEE Transactions on Biomedical Engineering. [04/2016] Dr. Hahn served as Technical Program Committee Member at the International Conference on Cyber-Physical Systems (Vienna, Austria). [04/2016] Ramin Bighamian was awarded a Graduate Dean’s Dissertation Fellowship from the University of Maryland. [04/2016] Bryce Yapps was awarded a Graduate Research Fellowship from the National Science Foundation (NSF). [12/2015] Ramin Bighamian was selected as a Future Faculty Fellow in the A.J. Clark School of Engineering at the University of Maryland. [11/2015] Dr. Hahn will serve for the Bio-Systems and Healthcare Technical Committee in the ASME’s Dynamic Systems and Control Division as Secretary during 2015-2016. [10/2015] Ramin Bighamian was selected one of 5 Finalists for the DSCC Best Student Paper Award at ASME Dynamic Systems and Control Conference for the paper entitled “A Control-Oriented Model of Blood Volume Response to Hemorrhage and Fluid Infusion”. [10/2015] Dr. Hahn served as Co-Organizer and Co-Chair for Invited Sessions at the ASME Dynamic Systems and Control Conference (Columbus, OH). [10/2015] Dr. Hahn served as Speaker and Panelist at the FDA Public Workshop on Physiological Closed-Loop Controlled Medical Devices (Silver Spring, MD). [09/2015] The article “Ballistocardiogram as Proximal Timing Reference for Pulse Transit Time Measurement” published in IEEE Transactions on Biomedical Engineering was selected as an Editor’s Choice Article in Science Translational Medicine. [08/2015] Dr. Hahn served as Mini Symposium Organizer at the IEEE Engineering in Medicine and Biology Conference (Milan, Italy). [08/2015] The article “Towards Ubiquitous Blood Pressure Monitoring via Pulse Transit Time” was selected as a Featured Article in IEEE Transactions on Biomedical Engineering. It was also the most downloaded article in August 2015 in IEEE Transactions on Biomedical Engineering. [06/2015] Shiva Ebrahimi was awarded the Best Oral Presentation Award (Session 2: Biomedical Engineering) from the FGSR Symposium at the University of Alberta. [04/2015] Dr. Hahn served as Program Committee Member and a Panelist at the Medical CPS Workshop, a part of International Conference on Cyber-Physical Systems (Seattle, WA). [11/2014] Dr. Hahn gave an invited talk at the University of Missouri. [10/2014] Dr. Hahn served as Organizer and Chair/Co-Chair for Invited Sessions at the ASME Dynamic Systems and Control Conference (San Antonio, TX). Dr. Hahn was also invited to present at a Frontiers Session at the same conference. [09/2014] Dr. Hahn received a SCIRTS Grant from the Craig. H. Neilsen Foundation as Co-I [Lead: MGH, PI: Dr. Andrew T. Reisner]. [08/2014] Dr. Hahn presented in a Mini Symposium at the IEEE Engineering in Medicine and Biology Conference (Chicago, IL). [08/2014] Dr. Hahn was awarded an IIS Grant from the National Science Foundation (NSF), in collaboration with MSU. [08/2014] Dr. Hahn received a U-01 Grant from the National Institute of Health (NIH) as Co-I [Lead: MSU, PI: Dr. Ramakrishna Mukkamala]. [07/2014] Dr. Hahn was awarded a CMMI Grant from the National Science Foundation (NSF). [04/2014] Dr. Hahn was awarded a Young Investigator Program (YIP) Award from the Office of Naval Research (ONR). [03/2014] Dr. Hahn gave an invited talk at the Catholic University of America. [03/2014] Ramin Bighamian attended the ‘2014 NSF Early Career Professionals Workshop on Exploring New Frontiers in Cyber-Physical Systems (Washington, DC). [02/2014] Dr. Hahn attended the ‘2014 National Workshop on Research Frontiers in Medical Cyber-Physical Systems (Arlington, VA). 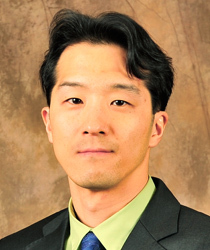 [01/2014] Dr. Hahn was awarded a Short-Term Innovative Research (STIR) Grant from the Army Research Office (ARO). [12/2013] Dr. Hahn will serve as a Member of the International Cooperation Committee for the Institute of Control, Robotics and Systems during 2014-2016. [11/2013] Dr. Hahn will serve for the Bio-Systems and Healthcare Technical Committee in the ASME’s Dynamic Systems and Control Division as Publicity Chair during 2013-2015. [10/2013] Dr. Hahn served as Organizer and Chair of Invited Sessions at the ASME Dynamic Systems and Control Conference (Palo Alto, CA). [08/2013] Dr. Hahn gave an invited talk at the University of Pennsylvania. [06/2013] Dr. Hahn was awarded a Young Investigator Grant (YIG) Award from the Korean-American Scientists and Engineers Association (KSEA). [10/2012] Nima Fazeli was selected one of 5 Finalists for the DSCC Best Student Paper Award at ASME Dynamic Systems and Control Conference for the paper entitled “Active Non-Intrusive System Identification for Cardiovascular Monitoring Part I: Excitation and Measurement Protocol Design”. [08/2012] Dr. Hahn served as Session Chair at the IEEE Engineering in Medicine and Biology Conference (San Diego, CA). The vision of the Laboratory for Control and Information Systems is to advance health monitoring and maintenance methodologies applicable to a wide range of dynamic systems by exploiting control and systems theory, with priority emphasis on bio-systems, health and medicine, as well as mechanical systems and structures. To this aim, our research activity covers a number of aspects related to non-intrusive and ubiquitous sensing, modeling via system identification and signal processing, condition monitoring and fault diagnostics via on-line estimation and analytical redundancy techniques, and maintenance and intervention via decision making and closed-loop control. Our current focus areas are 1) physiologic systems monitoring, 2) decision-assist, closed-loop control, fault diagnostics and accommodation challenges in critical care resuscitation, and 3) resilient and context-aware medical cyber-physical systems. Current research focus at the Laboratory for Control and Information Systems lies in mechanism-based modeling, analysis, control system design and evaluation in physiological systems, where the objective is to establish mechanistic understanding of physiological processes and closed-loop controls via mathematical model-based analysis, and translate the insight thus gained into technologies for health monitoring, diagnosis, and treatment of diseases and pathophysiological states. Current research endeavor at the Laboratory for Control and Information Systems is devoted to 3 thrust areas. The 1st area is unobtrusive BP monitoring, where cuff-less BP monitoring, improving the accuracy of oscillometric BP monitoring, and BCG as a new modality for BP monitoring are investigated. The 2nd area is cardiovascular health and disease monitoring, where cardiovascular system identification as well as model-based cardiovascular risk predictor estimation and cardiovascular disease diagnosis are investigated. The 3rd area is autonomous critical care, where the development of mathematical models as in-silico testing tools for autonomous critical care technologies and closed-loop control of medication infusion are investigated. Hypertension is a major cardiovascular risk factor that is treatable, yet undetected or uncontrolled, in many people in the US and wordlwide. Unobtrusive and affordable BP monitoring technology could improve hypertension detection and control, especially in low resource settings, but has been elusive. Pulse transit time (PTT) shows a tight relationship with blood pressure (BP) and can be estimated simply from the relative timing between proximal and distal waveforms indicative of the arterial pulse. Hence, PTT could potentially permit convenient, cuff-less BP monitoring at low cost. As a result, BP monitoring via PTT has been pursued by many. However, this promising approach has been hampered by several challenges that have precluded its use in practice. One challenge is convenient measurement of the two requisite waveforms. These waveforms are typically measured with body worn sensors that are not much easier to use than a BP cuff. Another challenge is accurate estimation of PTT. PTT is conventionally estimated as the foot-to-foot time delay between the waveforms wherein wave reflection interference is smallest. However, due to ubiquitous waveform artifact, this method yields PTT errors such that typical plots of PTT versus BP reveal substantial scatter about the curve of best fit. A third challenge is calibration of PTT to BP. This calibration is performed by measuring PTT and cuff BP in a subject during artificial perturbations to BP and then constructing a curve from these data to relate PTT to BP. This approach is not only inconvenient but also inaccurate when automatic, but notoriously unreliable, BP cuffs are used. A final challenge is determination of systolic BP via PTT. Conventional PTT estimates track diastolic BP by design and can correlate weakly with systolic BP. We have formed a multi-disciplinary team of investigators with active research programs in BP and PTT measurement. We have individually conceived ideas that are backed by preliminary data and could collectively overcome the outstanding challenges. We propose to integrate our efforts to establish innovative PTT-based approaches for unobtrusive, affordable, and high throughput or individualized BP monitoring. Successful completion of this project will yield a set of prototypes interfaced with smartphones to meet a range of clinical needs such as hypertension screening in a large population and facilitating BP control in a patient. Our ensuing efforts will focus on commercializing the technology to help reduce mortality and cardiovascular events as well as healthcare costs in the US and worldwide. The long-term goal of this research is to enable personalized disease diagnostics and medication therapy for improved healthcare by advancing fundamental theory and methodologies for data-driven mathematical modeling. In pursuit of this long-term goal, the research objective is to derive an active adaptive data-driven mathematical modeling framework applicable to CV disease diagnostics. Today, deriving the arterial tree model from blood pressure/flow waveform data is hampered by two challenges: 1) its input (blood pressure/flow waveforms at the heart) is difficult to measure and is deemed unavailable; and 2) it is weakly excited, i.e., meaningful frequency content in the heart blood pressure/flow waveforms is limited to heart rate, which is not sufficient to yield informative data for modeling of the arterial tree. To meet the research objective by coping with these challenges, it is hypothesized that high-fidelity model of the arterial tree can be derived by analyzing its multiple output signals (blood pressure/flow waveforms at the extremities) when it is subject to external actuations superposed onto its input signal. To test this hypothesis, we propose to accomplish the following tasks. First, the arterial tree will be modeled as a class of wave propagation systems, with its validity tested by experimental data. Second, methods to actively excite this class of systems will be derived by exploiting the superposition of system input and external actuations, and the resulting input-output behavior of the system will be mathematically formulated. Third, an adaptive data-driven modeling methodology will be derived for this class of systems. Fourth, the potential of these methodologies for CV disease diagnostics will be tested by applying them to personalized diagnostics of peripheral artery stenosis. The education/outreach objective is to promote independent healthy living by enhancing public awareness to CV health management. This will be accomplished by promoting routine blood pressure measurement as pathway to CV disease monitoring, through a variety of activities including summer camps on medical devices for K-12 and minority students, blood pressure measurement education/training sessions at senior centers, and integration of research outcomes to undergraduate and graduate courses. If successful, this research will contribute to the field of dynamical systems and control by deriving new fundamental knowledge on active adaptive data-driven mathematical modeling of a class of weakly excited dynamic systems. The class of systems considered in this research can potentially subsume wave propagation phenomena in a range of real-world systems, such as physiologic (e.g., CV and respiratory systems) and energy systems (e.g., smart grid). So, the success of this research may advance modeling and condition monitoring of such systems. In the field of CV physiology, this research may invoke follow-up efforts on subject-specific diagnostics of a range of CV diseases (such as artery stenosis, atherosclerosis and artery stiffening) and personalized, closed-loop CV medication therapy. Ultimately, this research may open up new opportunities for technological breakthroughs towards pervasive and personalized healthcare, eventually improving the quality of life of human beings. This research has broad impact on healthcare, economy, education and knowledge dissemination. First, this research has strong potential to advance personalized healthcare and economy. Most relevantly, it may revolutionize the way CV disease patients receive care by high-fidelity assessment of subject-specific CV pathophysiology. It may then stimulate economy through the development of cost-effective, deployable medical devices for CV health management, which may essentially enhance the standard of care. Second, this research will also contribute to education and knowledge dissemination via improved public awareness to CV health management. Educational and outreach activities relevant to CV disease monitoring will be offered to K-12 and underrepresented students as well as seniors. The findings produced from this research will also be disseminated as multidisciplinary course modules as well as through media and this website. The research goal is to investigate physiological modeling and closed-loop control methodologies applicable to white-box autonomy in a wide range of circulatory resuscitation scenarios. We will develop generalizable methodologies for (1) patient physiology and pharmacology modeling and (2) coordinated and resilient multivariable closed-loop control. We will demonstrate these methodologies by developing interpretable white-box physiological closed-loop control algorithms for circulatory resuscitation. The education and outreach goals are to create next-generation M-CPS workforce as well as to advance regulatory science for evaluating critical care autonomy capabilities. To achieve these goals, we will (1) attract graduate, undergraduate, and K-12 students into STEM and M-CPS, and (2) collaborate closely with FDA to investigate testing methodologies and tools for physiological models and closed-loop M-CPS via its Medical Device Development Tools (MDDT) Program, and disseminate the newly created knowledge to further advance M-CPS research and education. This CAREER program will advance fundamental knowledge on physiological modeling, closed-loop control, and regulatory science to enable interpretable white-box autonomy in M-CPS. The patient physiology models will be a solid basis to develop a broad range of autonomy capabilities in critical care. The control methodologies will provide a means to solve coordinated, resilient multivariable physiological closed-loop control problems that cannot be easily handled by existing control design techniques, as well as will go above and beyond M-CPS to other CPS domains in which multi-objective and resilient control is desired (e.g., transportation). The regulatory science methods will expedite the deployment of autonomy to real-world healthcare. In sum, this CAREER program will close technological outstanding gaps and make scientific breakthroughs in M-CPS autonomy, which will ultimately improve the quality of life of human beings. This CAREER program will have broad impacts on healthcare, economy, and M-CPS research and education. With a special focus given to circulatory resuscitation, it will create a wide range of physiological closed-loop control systems that can improve the quality of care of critically ill patients. The autonomy testing methodologies will facilitate the evaluation and approval of emerging M-CPS autonomy capabilities, and ultimately, stimulate the economy by expediting the deployment of new physiological closed-loop controlled medical devices into the market. The autonomy testing tools will facilitate M-CPS research and education. Close Collaboration with FDA and other institutions will enrich and maximize the impact of this CAREER program on training STEM workforce, especially from underrepresented minorities. For a subset of critically ill casualties, recovery requires medication therapies to resuscitate the casualty by sustaining circulation against burn and hypovolemia (e.g. due to hemorrhage) as well as to stabilize the casualty by mitigating pains due to wounds. This is typically accomplished by administering fluid, vasopressors as well as sedatives/anesthetics and opioids. Transport of these gravely ill patients is extremely complicated, requiring the highest level of intensive care. In today’s clinical practice, medication dose is adjusted by human clinicians. However, it is very difficult to optimize the medication doses due to substantial individual variability in the patient’s response to critical care medications. Consequently, standard clinical practice is to iteratively, and empirically, adjust medication dose in a given patient, seeking to maximize the desired beneficial effects relative to the deleterious side effects. To ensure quality monitoring and treatment of casualties by eliminating the challenges related to the current manual dose adjustment practice, this research concerns the automated critical care system (ACCS), a deployable closed-loop control system that can monitor and sustain casualties autonomously. Such an automated closed-loop control system may become a viable solution to guide and assist human clinicians in low-resource settings like critical care transport (CCT), by providing complete vigilance to monitor patients as well as careful and exacting computations to make clinical decisions. In theory, therefore, a well-designed ACCS could help clinicians make superior adjustments to medication doses, to avoid dangerous delays in making dose adjustments, and to avoid dose adjustments that are far from being optimal. Current ACCS capabilities pose two unique, significant challenges in developing and validating ACCS towards its maturation. First, most existing closed-loop control systems for automated medication therapy rely on population-averaged dose-response relationships, thereby sacrificing the control performance to secure robustness against individual variability in dose-response. We contend that patient-adaptive and personalized control of medication therapy may fulfill superior balance between performance and robustness. Second, although ACCS is ultimately intended for casualty care, it cannot be tested and validated in humans due to ethical reasons, and there is no time- and cost-effective solution to validate ACCS. We anticipate that high-fidelity model-based simulation that can reproduce physiologic responses to critical care medications may provide a viable platform to streamline translation and deployment of emerging ACCS capabilities. The above challenges necessitate dose-response models that are simple enough to be amenable to personalization using limited clinical data available in low-resource CCT settings, and also are physiologically transparent to reproduce complex responses to critical care medications. In this research, we propose a novel “hybrid physiologic-phenomenological” modeling paradigm that can address the above requirements, and demonstrate its value in developing closed-loop control algorithms and validation test beds for ACCS. Successful completion of this research will result in closed-loop control algorithms for personalized critical care medication treatment and a viable model-based simulation test bed applicable to the validation of new ACCS technologies. P. Yousefian, S. Shin, A. Mousavi, C.S. Kim, B. Finegan, M.S. McMurtry, R. Mukkamala, D.G. Jang, U.K. Kwon, Y.H. Kim, J.O. Hahn, “Physiological Association between Limb Ballistocardiogram and Arterial Blood Pressure Waveforms: A Mathematical Model-Based Analysis,” Scientific Reports, Vol. 9, Article Number 5146, 2019. X. Jin, C.S. Kim, S.T. Shipley, G.A. Dumont, J.O. Hahn, “Semi-Adaptive Closed-Loop Control for Infusion of Medications with Transport Delay in Clinical Effects,” ASME Journal of Computational and Nonlinear Dynamics, In Press. P. Yousefian, S. Shin, A. Mousavi, C.S. Kim, R. Mukkamala, D.G. Jang, B.H. Ko, J. Lee, U.K. Kwon, Y.H. Kim, J.O. Hahn, “The Association between Limb Ballistocardiogram-Based Pulse Transit Time and Blood Pressure,” Under Review. Y. Yao, Z. Ghasemi, M.M.H. Shandhi, H. Ashouri, L. Xu, R. Mukkamala, O.T. Inan, J.O. Hahn, “Mitigation of Instrument-Dependent Variability in Ballistocardiogram Morphology: Case Study on Force Plate and Customized Weighing Scale,” IEEE Journal of Biomedical and Health Informatics, In Press. X. Jin, R. Bighamian, J.O. Hahn, “Development and In Silico Evaluation of a Model-Based Closed-Loop Fluid Resuscitation Algorithm,” IEEE Transactions on Biomedical Engineering, In Press. J. Zhu, X. Jin, R. Bighamian, C.S. Kim, S.T. Shipley, J.O. Hahn, “Semi-Adaptive Infusion Control of Medications with Excitatory Dose-Dependent Effects,” IEEE Transactions on Control Systems Technology, In Press. C.S. Kim, A.M. Carek, O.T. Inan, R. Mukkamala, J.O. Hahn, “Ballistocardiogram-Based Approach to Cuff-Less Blood Pressure Monitoring: Proof-of-Concept and Potential Challenges,” IEEE Transactions on Biomedical Engineering, Vol. 65, No. 11, pp. 2384-2391, November 2018 [Featured Article 11/2018]. P. Yousefian, S. Shin, A. Mousavi, C.S. Kim, R. Mukkamala, D.G. Jang, B.H. Ko, J. Lee, U.K. Kwon, Y.H. Kim, J.O. Hahn, “Data Mining Investigation of the Association between a Limb Ballistocardiogram and Blood Pressure,” Physiological Measurement, Vol. 39, No. 7, Article Number 075009, July 2018 [Featured Article 07/2018]. Z. Ghasemi, J. Lee, C.S. Kim, H.M. Cheng, C.H. Chen, S.H. Sung, R. Mukkamala, J.O. Hahn, “Estimation of Cardiovascular Risk Predictors from Non-Invasively Measured Diametric Pulse Volume Waveforms via Multiple Measurement Information Fusion,” Scientific Reports, Vol. 8, Article Number 10433, 2018. R. Mukkamala, J.O. Hahn, “Toward Ubiquitous Blood Pressure Monitoring via Pulse Transit Time: Predictions on Maximum Calibration Period and Acceptable Error Limits,” IEEE Transactions on Biomedical Engineering, Vol. 65, No. 6, pp. 1410-1420, June 2018. X. Jin, J.O. Hahn, “Semi-Adaptive Switching Control for Infusion of Two Interacting Medications,” Biomedical Signal Processing and Control, Vol. 43, pp. 183-195, May 2018. R. Bighamian, B. Parvinian, C. Scully, G.C. Kramer, J.O. Hahn, “Control-Oriented Physiological Modeling of Hemodynamic Responses to Blood Volume Perturbation,” Control Engineering Practice, Vol. 73, pp. 149-160, April 2018. A. Chandrasekhar, C.S. Kim, M. Naji, K. Natarajan, J.O. Hahn, R. Mukkamala, “Smartphone-Based Blood Pressure Monitoring via the Oscillometric Finger Pressing Method,” Science Translational Medicine, Vol. 10, eaap8674, March 2018. J. Lee, Z. Ghasemi, C.S. Kim, H.M. Cheng, C.H. Chen, S.H. Sung, R. Mukkamala, J.O. Hahn, “Investigation of Viscoelasticity in the Relationship between Carotid Artery Blood Pressure and Distal Pulse Volume Waveforms,” IEEE Journal of Biomedical and Health Informatics, Vol. 22, No. 2, pp. 460-470, March 2018. X. Jin, C.S. Kim, S.S. Shipley, G.A. Dumont, J.O. Hahn, “Coordinated Semi-Adaptive Closed-Loop Control for Infusion of Two Interacting Medications,” International Journal of Adaptive Control and Signal Processing, Vol. 21, No. 1, pp. 134-146, January 2018. R. Bgihamian, M. Kinsky, G. Kramer, J.O. Hahn, “In-Human Subject-Specific Evaluation of a Control-Theoretic Plasma Volume Regulation Model,” Computers in Biology and Medicine, Vol. 91, pp. 96-102, December 2017. K. Natarajan, H.M. Cheng, J. Liu, M. Gao, S.H. Sung, C.H. Chen, J.O. Hahn, R. Mukkamala, “Central Blood Pressure Monitoring via a Standard Automatic Arm Cuff,” Scientific Reports, Vol. 7, Article Number 14441, 2017. B. Yapps, S. Shin, R. Bighamian, J. Thorson, C. Arsenault, S.A. Quraishi, J.O. Hahn, A.T. Reisner, “Hypotension in ICU Patients Receiving Vasopressor Therapy,” Scientific Reports, Vol. 7, Article Number 8551, 2017. J. Liu, H.M. Cheng, C.H. Chen, S.H. Sung, J.O. Hahn, R. Mukkamala, “Patient-Specific Oscillometric Blood Pressure Measurement: Validation for Accuracy and Repeatability,” IEEE Journal of Translational Engineering in Health and Medicine, Vol. 5, 1900110, 2017. Z. Ghasemi, C.S. Kim, E. Ginsberg, A. Gupta, J.O. Hahn, “Model-Based Blind System Identification Approach to Estimation of Central Aortic Blood Pressure Waveform from Non-Invasive Diametric Circulatory Signals,” ASME Journal of Dynamic Systems, Measurement and Control, Vol. 139, No. 3, 061003, June 2017 [Best Bio-Systems and Healthcare Paper Award, ASME DSCD Bio-Systems and Healthcare Technical Committee]. S.H. You, Y.M. Cho, J.O. Hahn, “Model-Based Fault Detection and Isolation in Automotive Yaw Moment Control System,” International Journal of Automotive Technology, Vol. 18, No. 3, pp. 405-416, March 2017. S. Ebrahimi Nejad, J.P. Carey, M.S. McMurtry, J.O. Hahn, “Model-Based Cardiovascular Disease Diagnosis: A Preliminary In-Silico Study,” Biomechanics and Modeling in Mechanobiology, Vol.16, No. 2, pp. 549-560, February 2017. X. Jin, C.S. Kim, G.A. Dumont, J.M. Ansermino, J.O. Hahn, “A Semi-Adaptive Control Approach to Closed-Loop Medication Infusion,” International Journal of Adaptive Control and Signal Processing, Vol. 31, No. 2, pp. 240-254, February 2017. S.L. Martin, C.S. Kim, A.M. Carek, H. Ashouri, O.T. Inan, J.O. Hahn, R. Mukkamala, “Weighing Scale-Based Pulse Transit Time is a Superior Marker of Blood Pressure than Conventional Pulse Arrival Time,” Scientific Reports, Vol. 6, Article Number 39273, 2016. R. Bighamian, C.S. Kim, A.T. Reisner, J.O. Hahn, “Closed-Loop Fluid Resuscitation Control via Blood Volume Estimation,” ASME Journal of Dynamic Systems, Measurement and Control, Vol. 138, No. 11, 111005, November 2016. R. Bighamian, A.T. Reisner, J.O. Hahn, “A Lumped-Parameter Subject-Specific Model of Blood Volume Response to Fluid Infusion,” Frontiers in Physiology, Vol. 7, Article 390, 2016. C.S. Kim, S.L. Ober, M.S. McMurtry, B.A. Finegan, O.T. Inan, R. Mukkamala, J.O. Hahn, “Ballistocardiogram: Mechanism and Potential for Unobtrusive Cardiovascular Health Monitoring,” Scientific Reports, Vol. 6, Article Number 31297, 2016. J. Liu, H.M. Cheng, C.H. Chen, S.H. Sung, M. Moslehpour, J.O. Hahn, R. Mukkamala, “Patient-Specific Oscillometric Blood Pressure Measurement,” IEEE Transactions on Biomedical Engineering, Vol. 63, No. 6, pp. 1220-1228, June 2016 [Featured Article 06/2016]. C.S. Kim, J.M. Ansermino, J.O. Hahn, “A Comparative Data-Based Modeling Study on Respiratory Gas Exchange,” Frontiers in Bioengineering and Biotechnology, Vol. 4, Article 8, 2016. R. Bighamian, S. Solemani, A.T. Reisner, I. Seri, J.O. Hahn, “Prediction of Hemodynamic Response to Epinephrine via Model-Based System Identification,” IEEE Journal of Biomedical and Health Informatics, Vol. 20, No. 1, pp. 416-423, January 2016. C.S. Kim, A.M. Carek, R. Mukkamala, O.T. Inan, J.O. Hahn, “Ballistocardiogram as Proximal Timing Reference for Pulse Transit Time Measurement: Potential for Cuffless Blood Pressure Monitoring,” IEEE Transactions on Biomedical Engineering, Vol. 62, No. 11, pp. 2657-2664, November 2015 [Editor’s Choice Article in Science Translational Medicine]. K. Koh, H.J. Kwon, B.C. Yoon, Y. Cho, J.H. Shin, J.O. Hahn, R.H. Miller, Y.H. Kim, J.K. Shim, “The Role of Tactile Sensation in Online and Offline Hierarchical Control of Multi-Finger Force Synergy,” Experimental Brain Research, Vol. 233, No. 9, pp. 2539-2548, September 2015. C.S. Kim, J.O. Hahn, K.S. Hong, Wan-Suk Yoo, “Estimation of Tire-Road Friction Coefficient Based on On-Board 6-DoF Acceleration Measurement,” IEEE Transactions on Vehicular Technology, Vol. 64, No. 8, pp. 3368-3377, August 2015. R. Mukkamala, J.O. Hahn, O.T. Inan, L.K. Mestha, C.S. Kim, H. Töreyin, S. Kyal, “Toward Ubiquitous Blood Pressure Monitoring via Pulse Transit Time: Theory and Practice,” IEEE Transactions on Biomedical Engineering, Vol. 62, No. 8, pp. 1879-1901, August 2015 [Featured Article 08/2015; Most Downloaded Article 08/2015]. P. Ataee, J.O. Hahn, G.A. Dumont, W.T. Boyce, “A Model-Based Approach to Stability Analysis of Autonomic-Cardiac Regulation,” Computers in Biology and Medicine, Vol. 61, pp. 119-126, June 2015. C.S. Kim, N. Fazeli, J.O. Hahn, “Data-Driven Modeling of Pharmacological Systems using Endpoint Information Fusion,” Computers in Biology and Medicine, Vol. 61, pp. 36-47, June 2015. R. Bighamian, H.R. Mirdamadi, J.O. Hahn, “Damage Identification in Collocated Structural Systems Using Structural Markov Parameters,” ASME Journal of Dynamic Systems, Measurement and Control, Vol. 137, No. 4, 041001, April 2015. C.S. Kim, N. Fazeli, M.S. McMurtry, B.A. Finegan, J.O. Hahn, “Quantification of Wave Reflection Using Peripheral Blood Pressure Waveforms: A Feasibility Study,” IEEE Journal of Biomedical and Health Informatics, Vol. 19, No. 1, pp. 309-316, January 2015. N. Fazeli, C.S. Kim, M. Rashedi, A. Chappell, S. Wang, R. MacArthur, M.S. McMurtry, B.A. Finegan, J.O. Hahn, “Subject-Specific Estimation of Central Aortic Blood Pressure via System Identification: Preliminary In-Human Experimental Study,” Medical and Biological Engineering and Computing, Vol. 52, No. 10, pp. 895-904, October 2014. M. Abdollahzade, C.S. Kim, N. Fazeli, B.A. Finegan, M.S. McMurtry, J.O. Hahn, “Data-Driven Lossy Tube-Load Modeling of Arterial Tree: In-Human Study,” ASME Journal of Biomechanical Engineering, Vol. 136, No. 10, 101011, August 2014. R. Bighamian, J.O. Hahn, “Relationship between Stroke Volume and Pulse Pressure during Blood Volume Perturbation: A Mathematical Analysis,” Biomed Research International, Vol. 2014, Article ID 459269 (10 Pages), 2014. P. Ataee, J.O. Hahn, G.A. Dumont, W.T. Boyce, “Non-Invasive Subject-Specific Monitoring of Autonomic Cardiac Regulation,” IEEE Transactions on Biomedical Engineering, Vol. 61, No. 4, pp. 1196-1207, April 2014. J.O. Hahn, “Individualized Estimation of Central Aortic Blood Pressure Waveform: A Comparative Study,” IEEE Journal of Biomedical and Health Informatics, Vol. 18, No. 1, pp. 215-221, January 2014. R. Bighamian, A.T. Reisner, J.O. Hahn, “An Analytic Tool for Prediction of Hemodynamic Responses to Vasopressors,” IEEE Transactions on Biomedical Engineering, Vol. 61, No. 1, pp. 109-118, January 2014. K. Soltesz, J.O. Hahn, T. Hägglund, G.A. Dumont, J.M. Ansermino, “Individualized Closed-Loop Control of Propofol Anesthesia: A Preliminary Study,” Biomedical Signal Processing and Control, Vol. 8, No. 6, pp. 500-508, November 2013. J. Liu, J.O. Hahn, R. Mukkamala, “Error Mechanisms of the Oscillometric Fixed-Ratio Blood Pressure Measurement Method,” Annals of Biomedical Engineering, Vol. 41, No. 3, pp. 587-597, March 2013. S.H. You, Y.M. Cho, J.O. Hahn, “A Component-Level Failure Detection and Identification Algorithm Based on Open-Loop and Closed-Loop State Estimators,” Mechanical Systems and Signal Processing, Vol. 36, No. 2, pp. 471-486, April 2013. M. Rashedi, N. Fazeli, A. Chappell, S. Wang, R. MacArthur, M.S. McMurtry, B.A. Finegan, J.O. Hahn, “Comparative Study on Tube-Load Modeling of Arterial Hemodynamics in Humans,” ASME Journal of Biomechanical Engineering, Vol. 135, No. 3, 031005, March 2013. J.O. Hahn, G.A. Dumont, J.M. Ansermino, “System Identification and Closed-Loop Control of End-Tidal CO2 in Mechanically Ventilated Patients,” IEEE Journal of Biomedical and Health Informatics, Vol. 16, No. 6, pp. 1176-1184, November 2012. J.O. Hahn, G.A. Dumont, J.M. Ansermino, “Robust Closed-Loop Control of Hypnosis with Propofol Using WAVCNS Index as the Controlled Variable,” Biomedical Signal Processing and Control, Vol. 7, No. 5, pp. 517-524, September 2012. N. Fazeli, J.O. Hahn, “Estimation of Cardiac Output and Total Peripheral Resistance Using Square-Wave-Approximated Aortic Flow Signal,” Frontiers in Physiology, Vol. 3, Article 298, pp. 1-10, July 2012. S.H. You, J.O. Hahn, “Recurrent-Neural-Network-Based Identification of a Cascade Hydraulic Actuator for Closed-Loop Automotive Power Transmission Control,” Journal of Mechanical Science and Technology, Vol. 26, No. 5, pp. 1599-1606, May 2012. J.O. Hahn, A.T. Reisner, H.H. Asada, F.A. Jaffer, “Subject-Specific Estimation of Central Aortic Blood Pressure Using an Individualized Transfer Function: A Preliminary Feasibility Study,” IEEE Journal of Biomedical and Health Informatics, Vol. 16, No. 2, pp. 212-220, March 2012. S. Khosravi, J.O. Hahn, G.A. Dumont, J.M. Ansermino, “A Monitor-Decoupled Pharmacodynamic Model of Propofol in Children Using State Entropy as Clinical Endpoint,” IEEE Transactions on Biomedical Engineering, Vol. 59, No. 3, pp. 736-743, March 2012. J.O. Hahn, G.A. Dumont, J.M. Ansermino, “A Direct Dynamic Dose-Response Model of Propofol for Individualized Anesthesia Care,” IEEE Transactions on Biomedical Engineering, Vol. 59, No. 2, pp. 571-578, February 2012. G. Zhang, J.O. Hahn, R. Mukkamala, “Tube-Load Model Parameter Estimation for Monitoring of Arterial Hemodynamics,” Frontiers in Physiology, Vol. 2, Article 72, pp. 1-18, November 2011. J.O. Hahn, S. Khosravi, M. Dosani, G.A. Dumont, J.M. Ansermino, “Pharmacodynamic Modeling of Propofol-Induced Tidal Volume Depression in Children,” Journal of Clinical Monitoring and Computing, Vol. 25, No. 4, pp. 275-284, August 2011. J.O. Hahn, S. Khosravi, G.A. Dumont, J.M. Ansermino, “Two-Stage versus Mixed Effects Approaches to Pharmacodynamic Modeling of Propofol in Children Using State Entropy,” Pediatric Anesthesia, Vol. 21, No. 6, pp. 691-698, June 2011. J.O. Hahn, G.A. Dumont, J.M. Ansermino, “Closed-Loop Anesthetic Drug Concentration Estimation via Clinical Effect Feedback,” IEEE Transactions on Biomedical Engineering, Vol. 58, No. 1, pp. 3-6, January 2011. J.O. Hahn, A.T. Reisner, H.H. Asada, “Estimation of Pulse Transit Time Using Two Diametric Blood Pressure Waveform Measurements,” Medical Engineering and Physics, Vol. 32, No. 7, pp. 753-759, September 2010. J.O. Hahn, D.B. McCombie, A.T. Reisner, H.M. Hojman, H.H. Asada, “Identification of Multi-Channel Cardiovascular Dynamics Using Dual Laguerre Basis Functions for Noninvasive Cardiovascular Monitoring,” IEEE Transactions on Control Systems Technology, Vol. 18, No. 1, pp. 170-176, January 2010. S.H You, S. Yoo, J.O. Hahn, H. Lee, K.I. Lee, “New Adaptive Approaches to Real-Time Estimation of Vehicle Sideslip,” Control Engineering Practice, Vol. 17, No. 12, pp. 1367-1379, December 2009. J.O. Hahn, A.T. Reisner, H.H. Asada, “Modeling and 2-Sensor Blind Identification of Human Cardiovascular System,” Control Engineering Practice, Vol. 17, No. 11, pp. 1318-1328, November 2009. J.O. Hahn, A.T. Reisner, H.H. Asada, “Blind Identification of Two-Channel IIR Systems with Application to Central Cardiovascular Monitoring,” ASME Journal of Dynamic Systems, Measurement and Control, Vol. 131, No. 5, 051009, September 2009. S.H. You, J.S. Jo, S. Yoo, J.O. Hahn, K.I. Lee, “Vehicle Lateral Stability Management Using Gain-Scheduled Robust Control,” Journal of Mechanical Science and Technology, Vol. 20, No. 11, pp. 1898-1913, November 2006. S.H. You, J.O. Hahn, Y.M. Cho, K.I. Lee, “Modeling and Control of a Hydraulic Unit for Direct Yaw Moment Control in an Automobile,” Control Engineering Practice, Vol. 14, No. 9, pp. 1011-1022, September 2006. J.O. Hahn, R. Rajamani, S.H. You, K.I. Lee, “Real-Time Identification of Road Bank Angle Using Differential GPS,” IEEE Transactions on Control Systems Technology, Vol. 12, No. 4, pp. 589-599, July 2004. J.O. Hahn, J.W. Hur, Y.M. Cho, K.I. Lee, “Empirical Modeling of a Hydraulic Actuator in a Vehicle Control System,” Mathematical and Computer Modeling of Dynamical Systems, Vol. 9, No. 2, pp. 193-208, September 2003. D.H. Kim, K.J. Yang, K.S. Hong, J.O. Hahn, K.I. Lee, “Smooth Shift Control of Automatic Transmissions Using a Robust Adaptive Scheme with Intelligent Supervision,” International Journal of Vehicle Design, Vol. 32, No. 3/4, pp. 250-272, September 2003. J.O. Hahn, S. Kang, K.I. Lee, “Nonlinear Robust Control of Passenger Car Torque Converter Bypass Clutch,” Transactions of KSME, Vol. 27, No. 8, pp. 1251-1258, August 2003. J.O. Hahn, K. Yi, S. Kang, K.I. Lee, “Robust Vehicle Stability Control Using Disturbance Observer,” Transactions of KSME, Vol. 26, No. 12, pp. 2519-2526, December 2002. J.O. Hahn, J.W. Hur, G.W. Choi, Y.M. Cho, K.I. Lee, “Self-Learning Approach to Automatic Transmission Shift Control in a Commercial Construction Vehicle during the Inertia Phase,” Journal of Automobile Engineering, Vol. 216, No. D11, pp. 909-919, November 2002. J.O. Hahn, R. Rajamani, L. Alexander, “GPS-Based Real-Time Identification of Tire-Road Friction Coefficient,” IEEE Transactions on Control Systems Technology, Vol. 10, No. 3, pp. 331-343, May 2002. J.O. Hahn, J.W. Hur, Y.M. Cho, K.I. Lee, “Robust Observer-Based Monitoring of a Hydraulic Actuator in a Vehicle Power Transmission Control System,” Control Engineering Practice, Vol. 10, No. 3, pp. 327-335, March 2002. J.O. Hahn, K.I. Lee, “Nonlinear Robust Control of Torque Converter Clutch Slip System for Passenger Vehicles Using Advanced Torque Estimation Algorithms,” Vehicle System Dynamics, Vol. 37, No. 3, pp. 175-192, March 2002. D.H. Kim, J.O. Hahn, B.K. Shin, K.I. Lee, “Adaptive Compensation Control of Vehicle Automatic Transmissions for Smooth Shift Transients Based on Intelligent Supervisor,” Journal of Mechanical Science and Technology, Vol. 15, No. 11, pp. 1272-1281, November 2001. B.K. Shin, J.O. Hahn, K. Yi, K.I. Lee, “A Supervisor-Based Neural-Adaptive Shift Controller for Automatic Transmissions Considering Throttle Opening and Driving Load,” Journal of Mechanical Science and Technology, Vol. 14, No. 4, pp. 418-425, April 2000. J.O. Hahn, B.K. Shin, H.S. Jo, K.I. Lee, “Fuzzy Logic Slip Control of Torque Converter Clutch System for Passenger Car Considering Road Grade Resistance,” Transactions of KSME, Vol. 24, No. 3, pp. 718-727, March 2000. S.H. Lim, J.O. Hahn, K.I. Lee, “The Dynamic Modeling for Components of Automatic Transmission and Integrated Simulation through the Modular Approach Method,” Transactions of KSME, Vol. 22, No. 12, pp. 2171-2186, December 1998. The program prepares students to achieve career-long success in academia as educators and researchers. Working together, the University of Maryland and IBM encourage students and faculty to think big and leverage technology. New blood pressure monitoring technologies could enhance accuracy and accessibility. NSF awards Hahn funding to research “white-box” autonomy in medical systems. Clark School program prepares graduate students for future academic career. Assistant Professors Fuge, Hahn, and Vaughn-Cooke featured on podcast to discuss new research in their fields. A ME research team, led by Jin-Oh Hahn, publishes on blood pressure modeling in Nature Scientific Reports. New research published in Nature's Scientific Reports could provide a non-invasive and cost effective means to better measure cardiovascular health. Could Standing On A Scale Give You Better Insights Into Your Cardiovascular Health? New research published in Scientific Reports could lead to improving non-invasive cardiovascular health monitoring. Graduate students selected for program designed to produce next great engineering professors. Mechanical Engineering Assistant Professor Jin-Oh Hahn receives Office of Naval Research Young Investigator Program award. Undergrads gain hands-on experience helping biologists build solutions for critical honey bee issue. Professor Jin-Oh Hahn receives $10,000 from the Korean-American Scientists and Engineers Association to support his research. The winner will be announced at the 2012 ASME Dynamic Systems and Control Conference. Assistant professor’s research focuses on condition monitoring of dynamic systems.